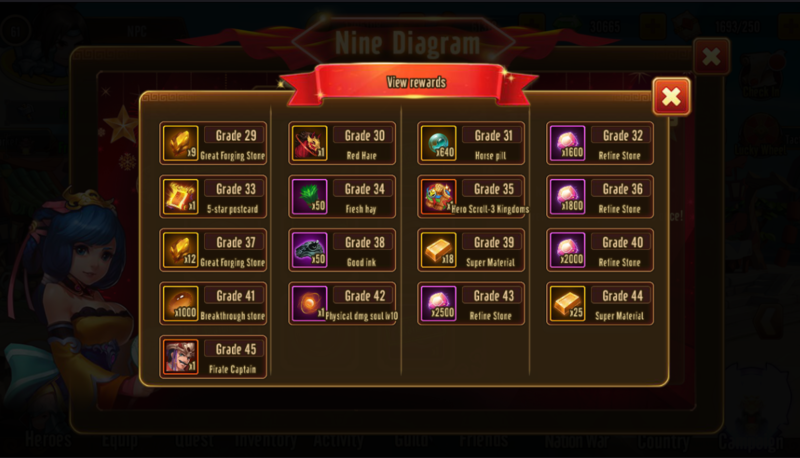 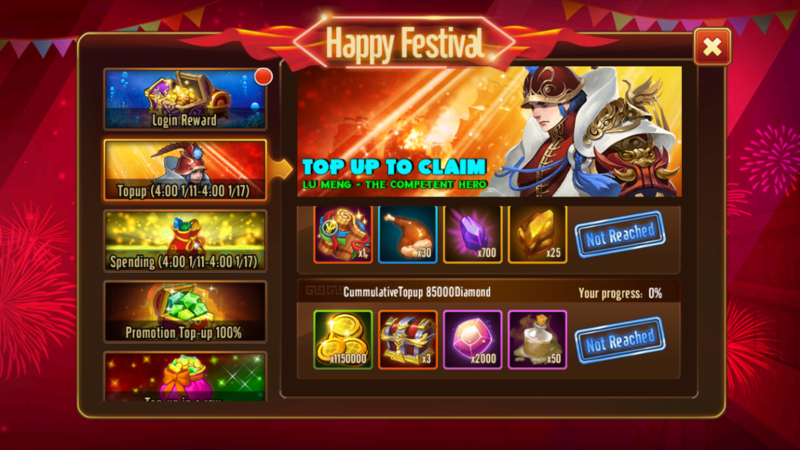 + Talent Keys will be used in Nine Diagram event, each key is one time flipping. 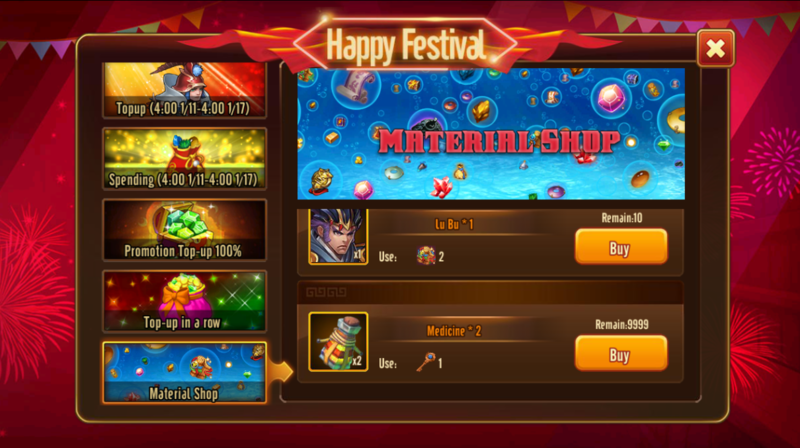 + Medicine can exchange for items in Material Shop. 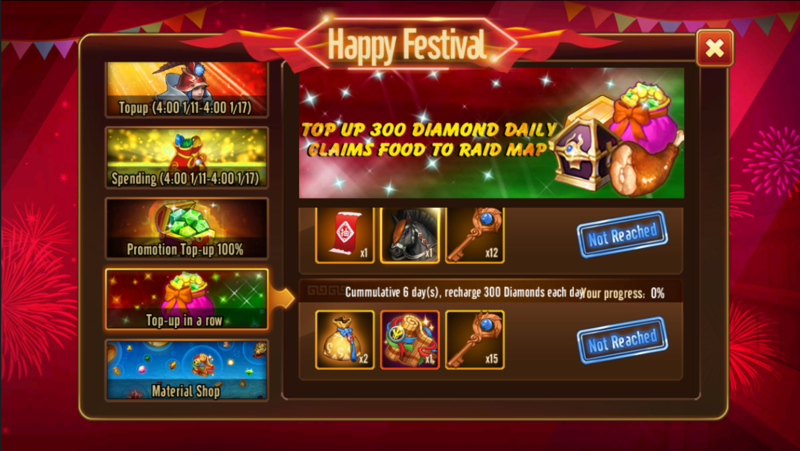 *Tips: Try to clear the maps as many time as you can to claim Talent Keys and Medicine. 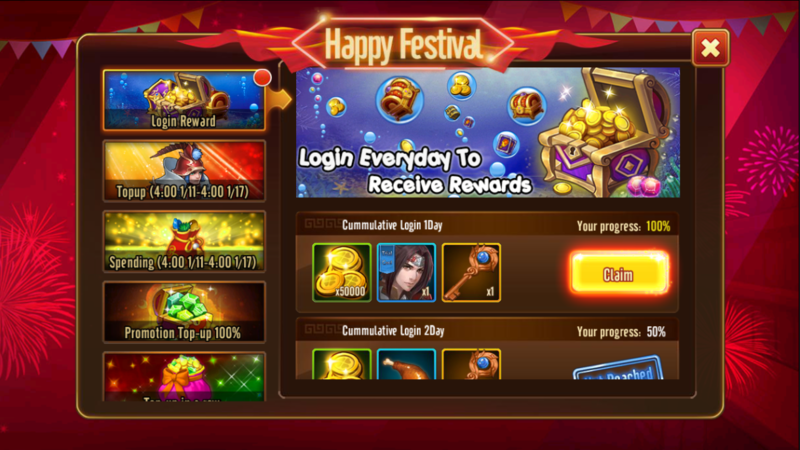 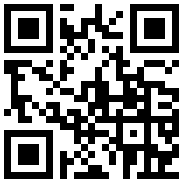 ​Rules: Login everyday to receive rewards. 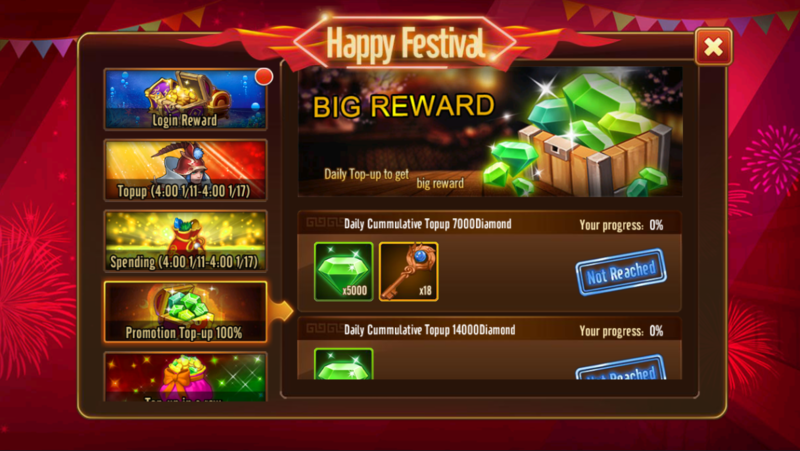 *Note: Top-up to claim Talent Key for more flipping time in Nine Diagram, reset daily at 4:00 (UTC+8), the progress is reset daily. Information: Use "Medicine" to exchange items. 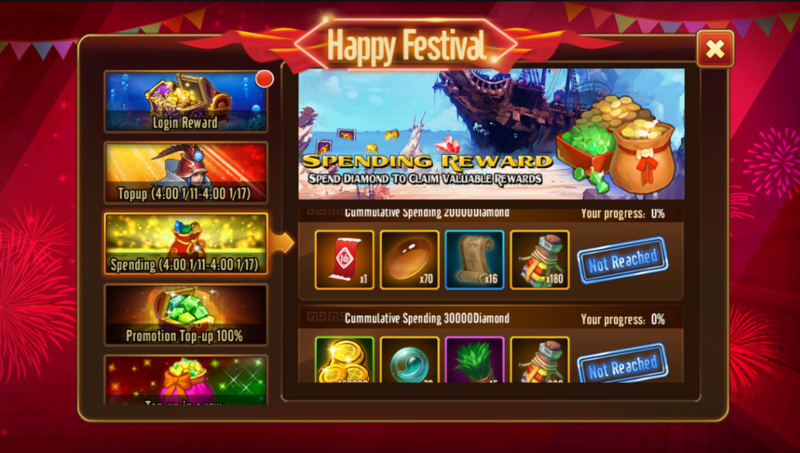 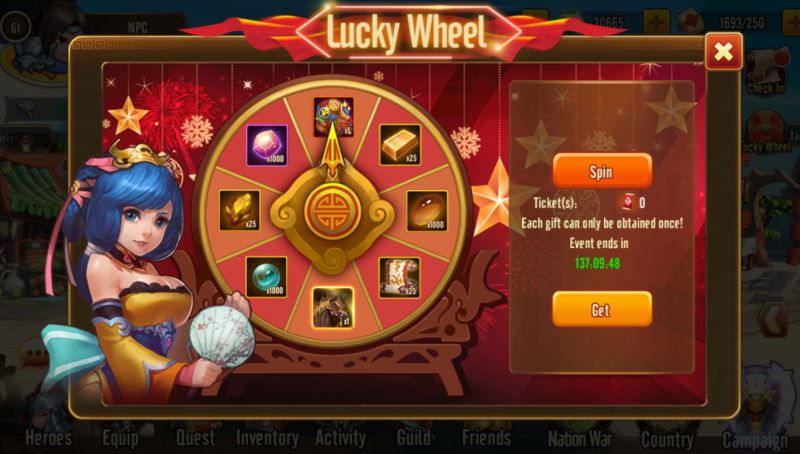 Rules: Players collect Lucky Wheel Tickets from the above event to spin for the reward. 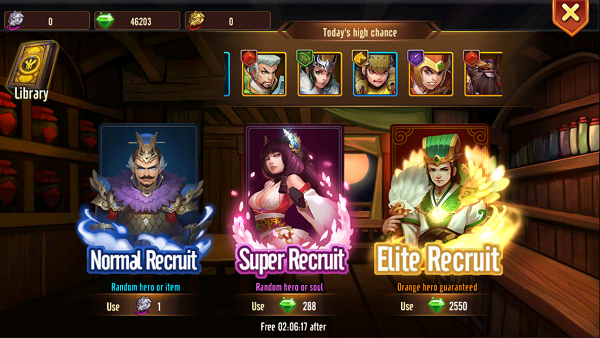 Reward 4: Cumulatively recruit 400 times in Tavern, get Lu Bu "Demon's Armor"
- Super Recruit is counted as 1 recruitment. 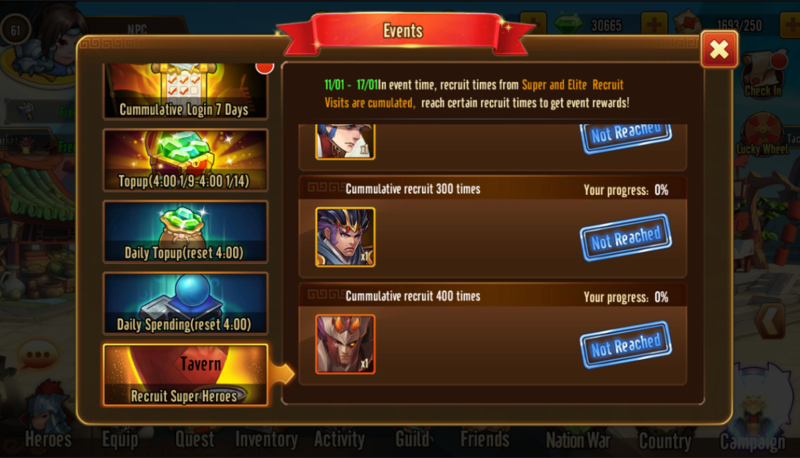 - Elite Recruit is counted as 10 recruitments.